Real Madrid are reportedly looking to go all out in a bid to improve their attacking play, and want to sign two top Premier League players, The Sun are reporting. 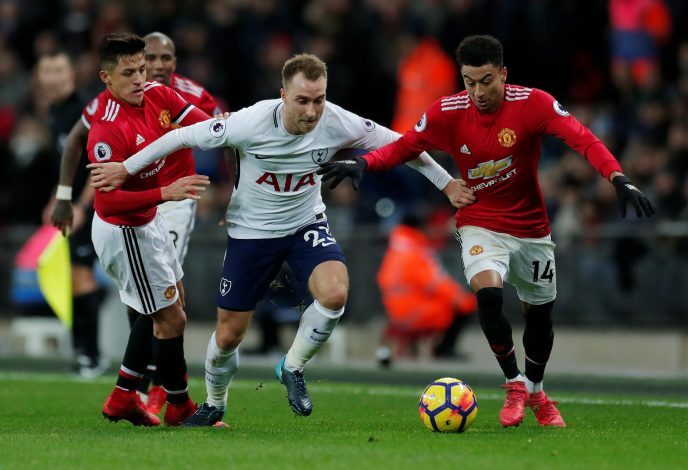 The report claims that Los Blancos have their sights set on Manchester United striker Marcus Rashford and Tottenham Hotspur playmaker Christian Eriksen. Real Madrid have been struggling in front of goal this season, and without the services of the departed Cristiano Ronaldo, look a much depleted team on the verge of completely falling apart. The form of Karim Benzema, Gareth Bale, and Marco Asensio has been a serious concern for the Spanish giants, and they are desperate to find a solution at the earliest. The report suggests that relief could come in the form of Marcus Rashford in attack, who could be subject to a £50m offer from Madrid. Scouts from the Spanish capital have been watching the progress of the youngster, and are believed to be impressed with what he has to offer. Moreover, new boss Santiago Solari is also a huge fan of Rashford, and wants to give him an opportunity to shine at the Bernabeu. Elsewhere, the reigning European champions are also weighing up a £40m move for Spurs’ Christian Eriksen, whose contract with the North Londoners runs out in 18 months’ time. While Tottenham have previously made it clear that they do not wish to sell, a massive sum could change their minds with regards to the Dane. The Galacticos want a long-term replacement for their own playmaker in Luka Modric, and consider Eriksen to be the right man to fill the boots of the Croatian. All in all, Real Madrid could be planning a well-orchestrated £90m double swoop for these two top stars from the Premier League, and may well end up adding to their arsenal in a big way.